New Added Products is a magento extension that list all the products that is created from customize days back to now in a whole website or a specific category with pagination and layered navigation. New Added Products also provide a New Added Products Listing widget to let you add a list of new added products of a website or a specific category in any CMS pages or static block you want. The New Added Products Listing widget also have a more products link to display all the new products in a specific category with pagination and layered navigation. A seperate page to list all new added products of the site. 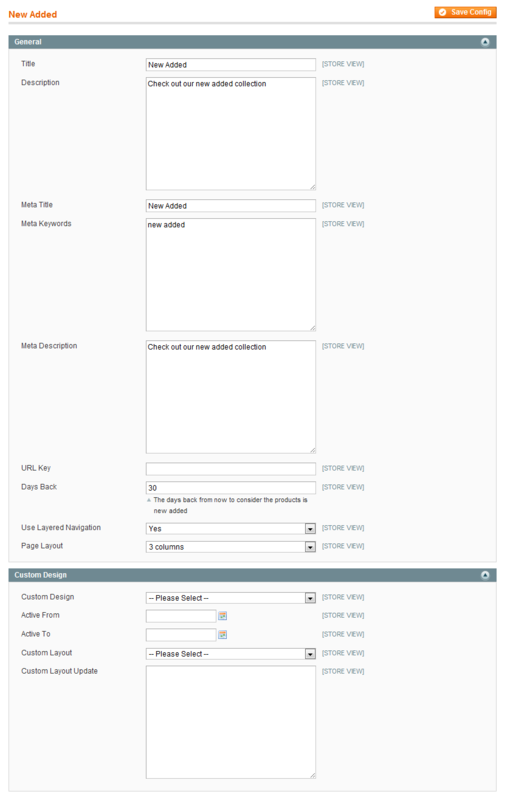 You can custom the page title, description, meta title, meta description, meta keywords and URL key for SEO. 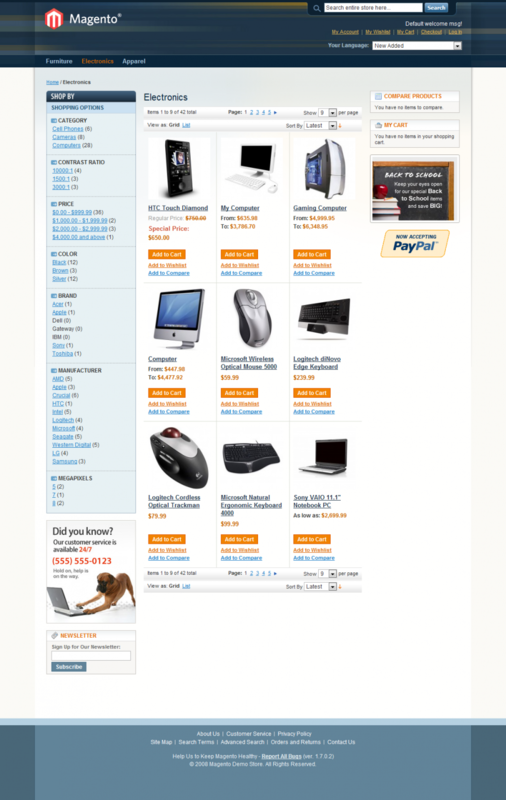 Each category in the site have a new added products listing page. 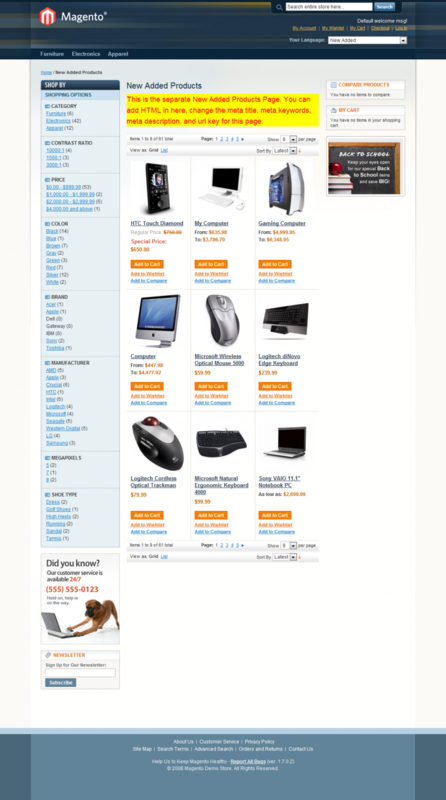 A new added products listing page come with a pagination and layered navigation to filter the new products. New Added Products Listing Widget to list new products of the site or specific category with/without a more products link.